Have you ever heard anyone say "It's Monday, yay!" Me either :) But Mondays can be good, like today for instance. Look to your right ----> Now you can see my newest items right here in my blog! Cool right? Hey, do me a big favor - be sure to visit my Facebook page today. I have links to the handmade auction, my holiday shipping schedule AND (I'm saying it here first) once I reach 2000 likes on the page I'm going to giveaway some gift certificates! 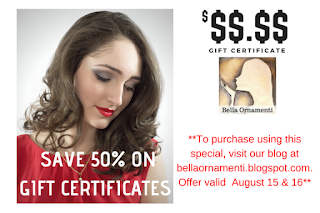 (One will be $50!!) So head over and like the page, send your friends, share the page, tag your family. I'll announce here first when the giveaway will be and even better, the giveaway will be here on the blog. So share this post! 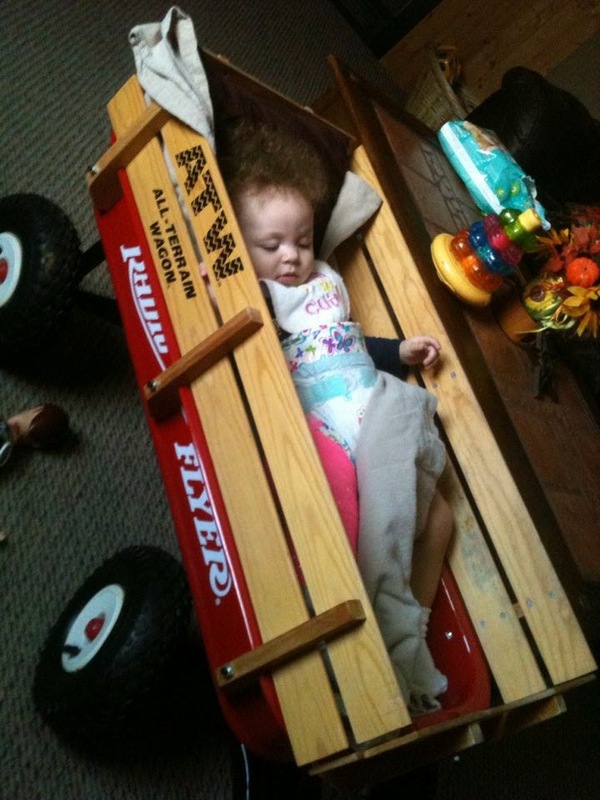 It's my granddaughter London, chilling in her wagon. She's recovering great from her broken femur!